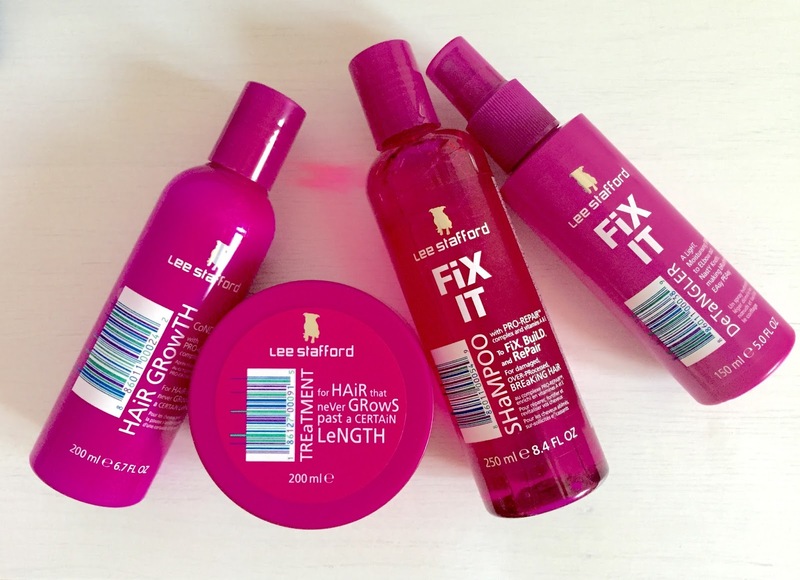 So, yesterday I popped into boots to repurchase my trusty Lee Stafford for hair that never grows past a certain length treatment. There was an offer - two Lee Stafford products for £10. Rather than doing what most people would do and stock up on the mask, I decided to pick up few other products in a life long bid to get super long, smooth, shiny princess hair! The hair mask, by far is the best hair mask I have ever tried (I've tried a fair few over the years!). it leaves my crazy, thick, unruly, frizzy hair soft and manageable. It claims to add nourishment to help hair grow. I'm unsure if it has actually helped my hair grow but it is certainly helped it overall condition. The next product that made its way into my basket was the 'hair growth conditioner'. I picked this up in the hope that it would work well along side the mask and if it is anything like the mask I will not be disappointed. I was also in the market for a new shampoo. I opted for the 'fix it shampoo'. This says that has vitamins A and E in it to rescue over processed hair. Most shampoos I've been using lately have been leaving me with a dry itchy scalp and with my dark roots dandruff is not a good look. I'm a sucker for anything that claims to prevent and repair damaged hair so this made its way to the check out with me. The final product was the 'fix it dentangler'. As I mentioned before my hair is very thick and curly and brushing it can be somewhat of a battle. So this product aims to the elbow out of tackling those nasty knots which I am hoping it does! Has anyone tried these before? Let me know what you think!